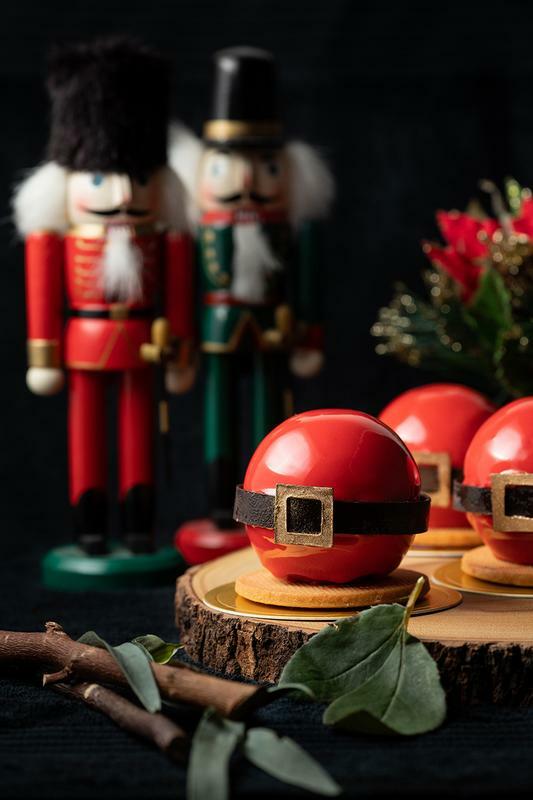 Drawing inspiration from fond childhood Christmas memories, Malaysian pastry and dessert chef Valen Teh has created a limited edition made-to-order Christmas Wonderland Collection that will be sure to make your mother-in-law and aunties "ooh and aah". Mr. Jack Frost is a fun and joyful character known to bring smiles and joy to everyone around. His favourite season is of course winter and he loves the refreshing and crisp air it brings. Every Christmas, children look forward to Santa Clause and his promise of gift-giving to those who are nice. But what he is most remembered for is the image of him grasping his belly as he lets out a deep laugh "Ho! Ho! Ho!". 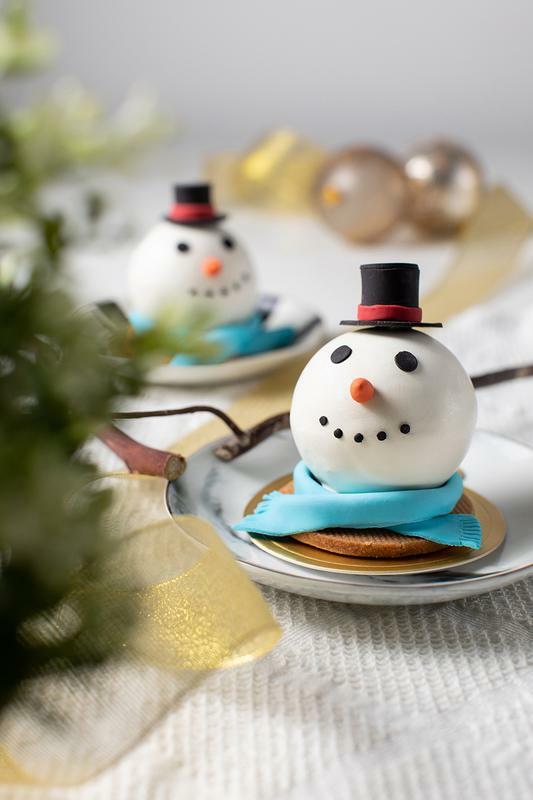 This dessert is a fun tribute to Saint Nick! 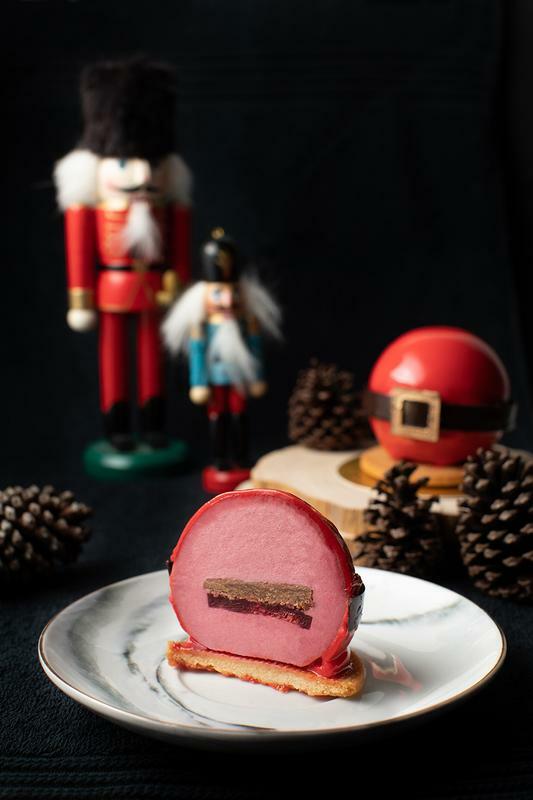 He is made up of a layer of Raspberry Mousse, a layer of Raspberry Jelly and dark chocolate praline crisp. Santa's Belly is coated with a red infused white chocolate glaze, and his belly sits on a base of almond biscuit. Every child looks forward to putting up ornaments on the Christmas tree. It is a big highlight of the Christmas decoration time. 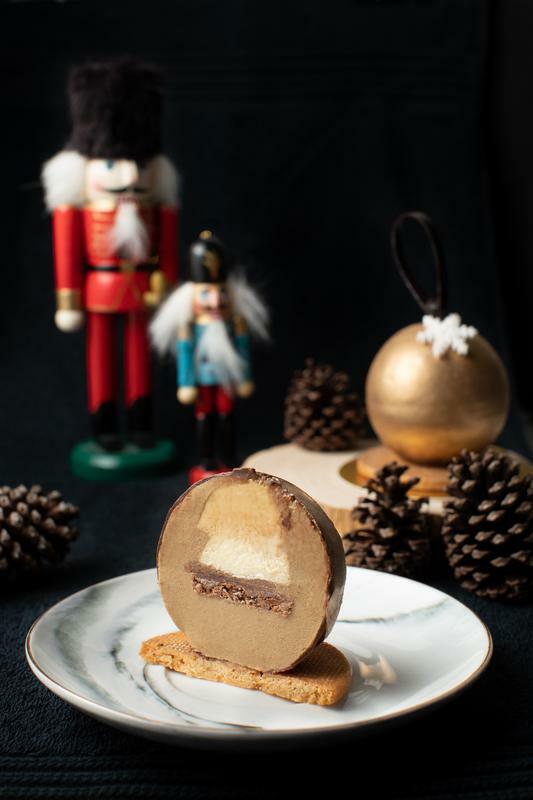 The Golden Ornament is made up of Praline Feuilletine (Milk Chocolate Praline), Mascarpone Mousse, Caramel Cremeux and a layer of coffee Mousse. It has a base of almond biscuit. The Yule Log is the perfect highlight for year-end celebratory dinner with friends, Christmas office parties, or a Christmas family get-together. 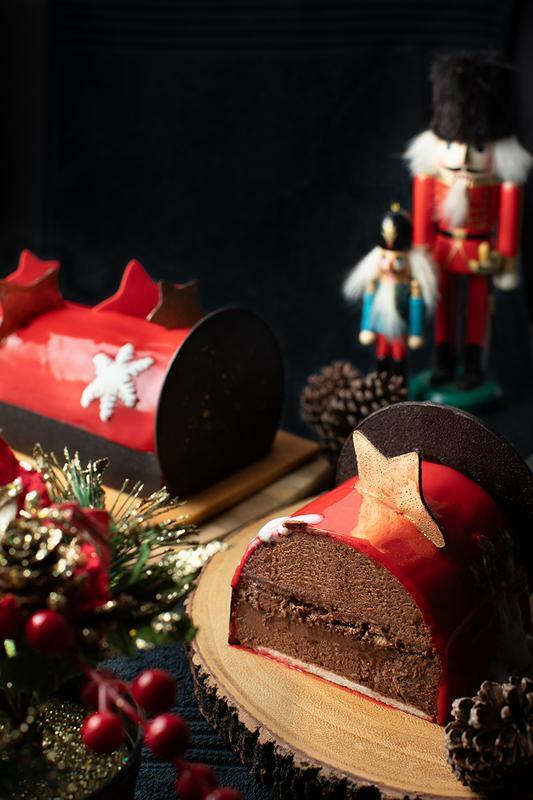 The Yule Log's filling is made of a layer of chocolate mousse and crunchy hazelnut praline, coated with a red glaze finishing. 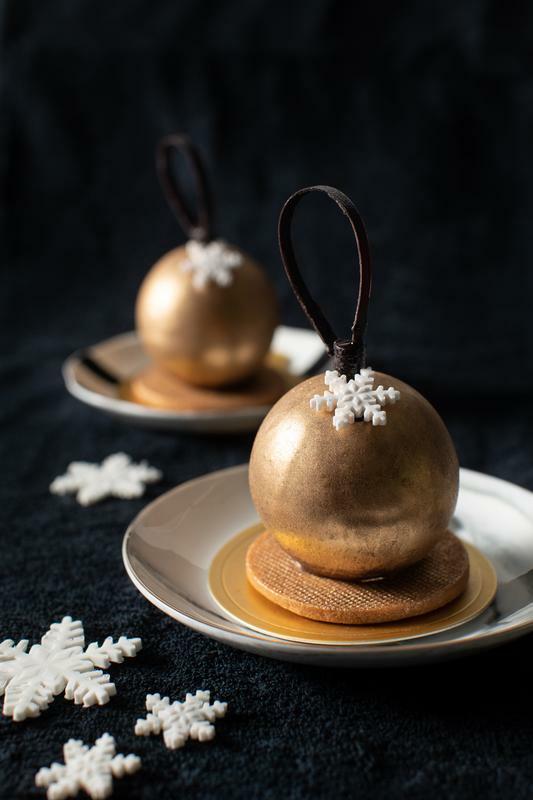 The dessert, inspired by Santa himself, has a belt made up of chocolate and gold finishing. It is also decorated with chocolate stars, two layers of chocolate pieces at its side, and fondant snowflakes. 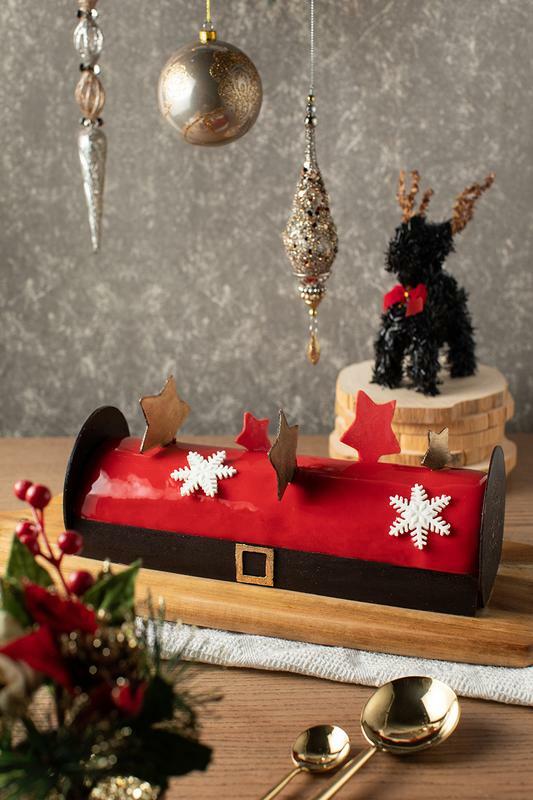 The Yule Log comes specially packaged in a gold shimmery box with a red ribbon at its side – perfect for Christmas gifts! 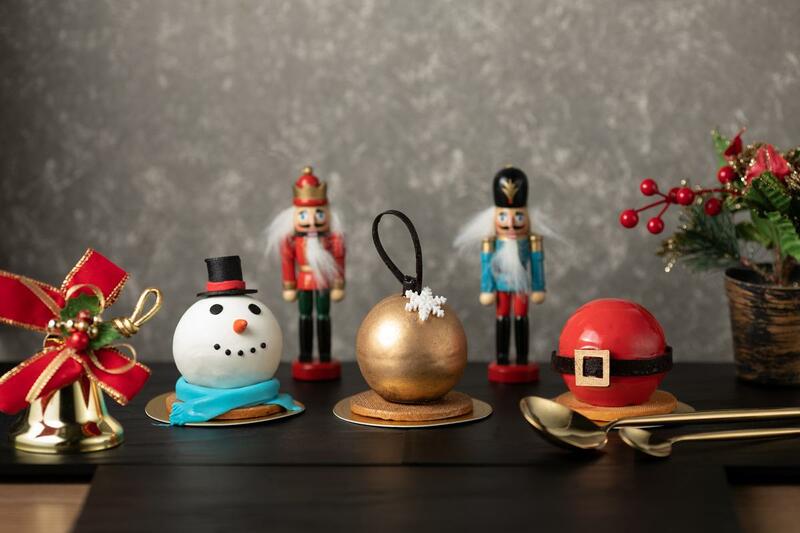 You can enjoy the desserts individually or spread the joy by purchasing a set of three as Christmas presents! 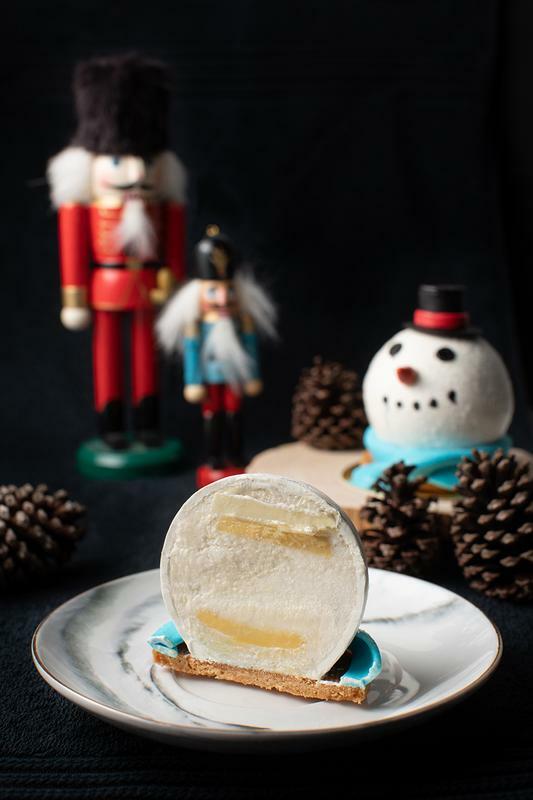 The Christmas Wonderland Jolly Trio includes Mr. Jack Frost, Santa's Belly, and a Golden Ornament priced at RM45. Also, follow Valen's Patisserie on Facebook and Instagram for more delicious yummies for your tummies! Memang hebat kemahiran pereka-pereka tempatan kek ini dan boleh dikategorikan dengan rekaan taraf antarabangsa! They're so fluffy, I'm gonna die!